As cosmetic dentistry has significantly progressed over time, more and more people are considering different procedures in order to improve their smile. And, with great reason — having an awesome looking smile will likely increase confidence. With all of the different treatment methods that exist within cosmetic dentistry, it can often be hard to determine what the best procedure is to have done, for things like stained teeth or a crack that will not repair itself. However, with the help of this article, we will outline a few common cosmetic dentistry treatments so that anyone considering improving their smile can be well informed! 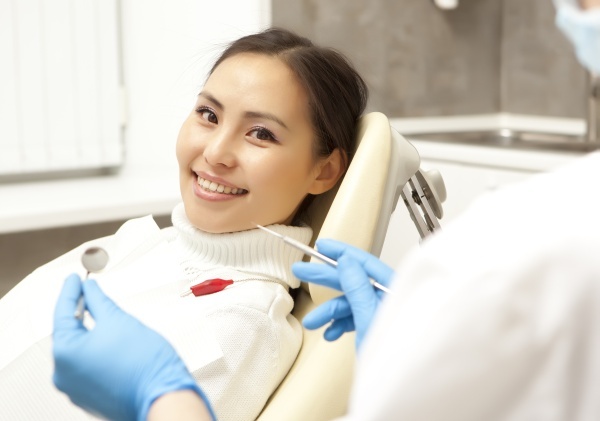 One of the most common procedures done within cosmetic dentistry is dental bonding. This simple and minimally invasive procedure allows for the cosmetic dentist to improve your smile by merely laying down a resin that covers any cracks or chips on a person’s tooth. Empty spaces between teeth can also be treated with dental bonding, which will also allow for the improvement of a person's smile. A very popular treatment to have done for improving your smile is a professional teeth whitening procedure. This conventional method of treatment can be done within one hour at your cosmetic dentist’s office. The strong bleaching agents that are within the whitening treatment will lift stains off the surface of each tooth, thus allowing for significant improvement of your smile. Another great way to improve your smile is through the use of clear aligners. These have been a popular method of treatment for some time, but they are still newer than that of traditional braces. Most clear aligners are nearly invisible, which allows for a discreet method of treatment. For the most part, they are removable and allow flexibility for each person. While having crooked teeth may not be detrimental, a lot of people are self-conscious about them. With the help of a cosmetic dentist, a person can straighten their teeth out through aligners, which will ultimately allow for smile improvement. People that have severe staining, minor chips or cracks can opt for dental veneers. These are newer to cosmetic dentistry, but they are offering significant benefits for people looking to improve their smiles. Dental veneers are very thin coverings that completely cover a person’s tooth in a white colored resin which allows the tooth to look natural. They are mostly recommended for teeth that are near the front of the mouth. If you’re considering improving your smile, then it is best to talk with your cosmetic dentist. While we did list a few common treatment methods of cosmetic dentistry, there are many more that a person can consider. Cosmetic dentists can walk you through different ways to improve your smile. If you have questions or concerns about cosmetic dentistry treatments, then reach out to our office so that we can help you. Let our trained professionals guide you through smile improvement, call us today!